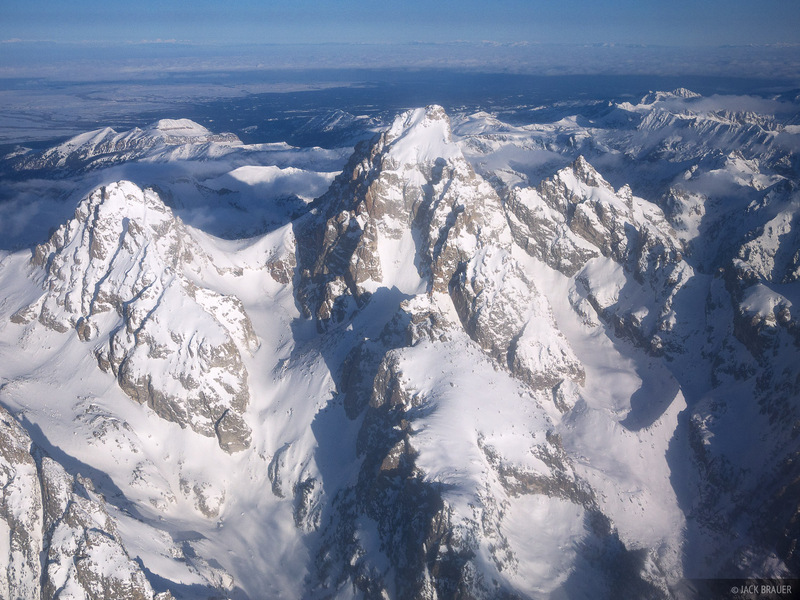 On Thursday morning last week in mid March I flew out of Jackson airport and was treated to some incredible aerial views of the Tetons! I reserved a window seat (as always) and had my camera ready, but was disappointed when I realized that I was on the wrong side of the plane to see the mountains during takeoff. 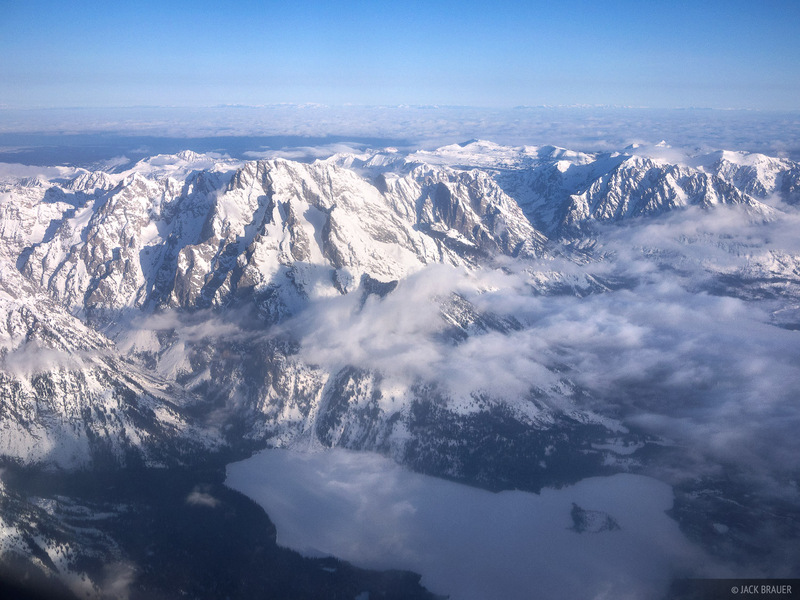 Soon, however, my hopes rose from the dead as the plane banked a hard left, turned around, and flew right alongside the Tetons as it gained altitude – giving me a perfect view of all the big peaks of the Teton Range. Needless to say, I was snapping photos as quickly as possible! Aerial view of Mount Moran, 12,605 ft., and Leigh Lake, in Grand Teton National Park, Wyoming. 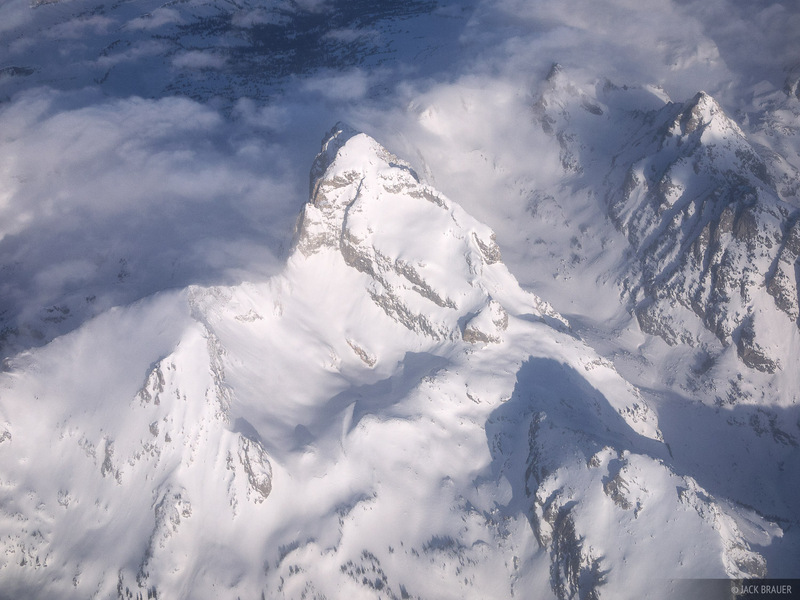 Winter aerial view of the Grand Teton, 13,770 ft., and the Teton Glacier. 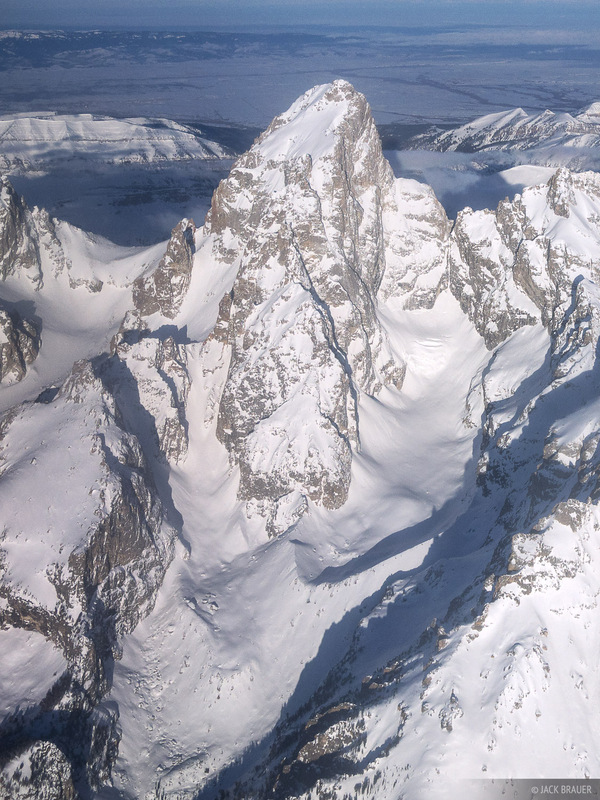 Aerial view of the east side of the Grand Teton, 13,770 ft. The Middle Teton is on the left, and Mount Owen on the right. Garnet Canyon is the valley emptying down on the left, Glacier Gulch on the right. Aerial view of the east face of Buck Mountain, 11,938 ft. Static Peak, 11,303 ft., is at the left, though from this angle it only looks like a dwarfed subpeak of Buck. 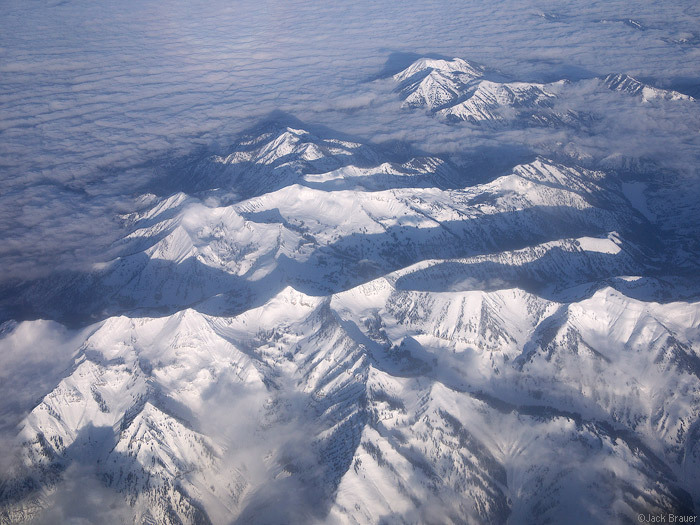 Aerial view of a portion of the Snake River Range located to the northwest of Palisades Reservoir, Idaho, just west of the Wyoming border. Mount Baird, 10,025 feet, is the most snow-caked peak towards the lower left corner of the photo. It would have been a great morning to be standing on top of one of these peaks, looking over the vast cloud blanket below. Last May I snowboarded down several of these large peaks which you can see in these photos, including Mt. Moran, the Middle Teton, and Static Peak; check out those photos here.